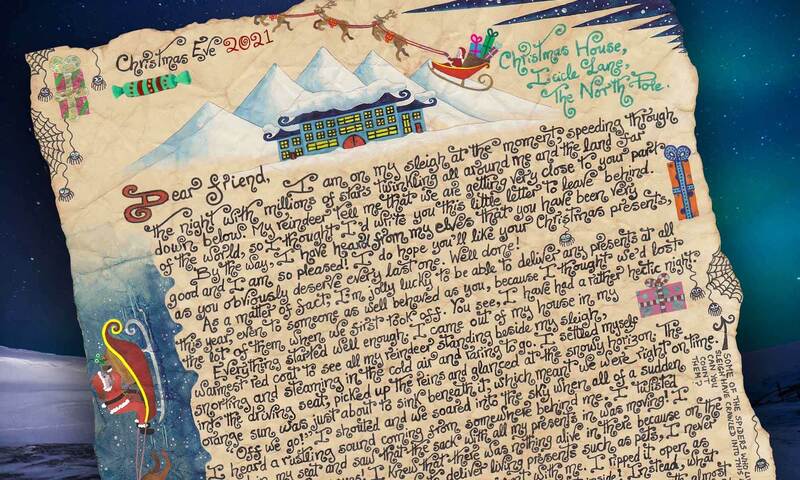 This is the page where you can find a printable letter from Father Christmas, written on Christmas Eve. These letters should be left somewhere for your child to find and read when he or she wakes up on Christmas Day. Every year, we make a small selection of our beautiful Father Christmas story-letters available for you to print or download free below. 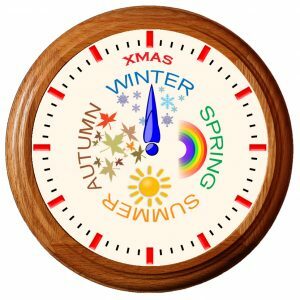 We occasionally switch around what’s on offer, so that there is at least one new letter available each autumn. 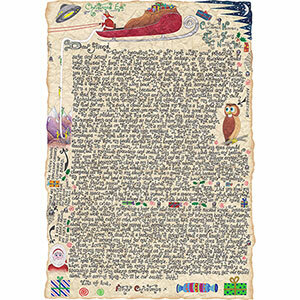 Click/tap the picture above to find out what Father Christmas writes in this letter and to print a free one for your child. 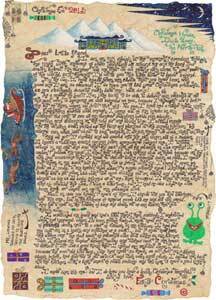 Click/tap the picture above to find out what Father Christmas writes about in this letter and to print one free for your child. Give your child some extra magic this Christmas – leave this special letter from Santa for him/her to find with the presents. These letters will tell your child all about the exciting adventures Father Christmas has had on Christmas Eve. They’re particularly popular with families who like to open their presents after lunch, as it gives the children an extra treat while they are waiting. If you plan to fold or roll your letter up and tie it with a ribbon, you may want to avoid the white paper back. The best way yo do this is to turn your letter over and print a pattern on the back of it, before you cut it out. To help you do this, we have create some printable letter backs. Of course, if you’re feeling artistic, you could just paint or draw on the back instead. For extra help watch our letter crafting video. We also create letters to read before Christmas. They're left behind by Santa when he visits on Christmas Eve, so that children can read them on Christmas Morning. Like all our letters, they have a storytelling feel and the idea behind them is to add an extra sprinkling of magic to your child's Christmas.